What if you could see what people aren’t telling you? Most data-gathering methodologies collect high-level information that is useful but they come up short of being able to tell us exactly when our audience actually wants to hear from us. 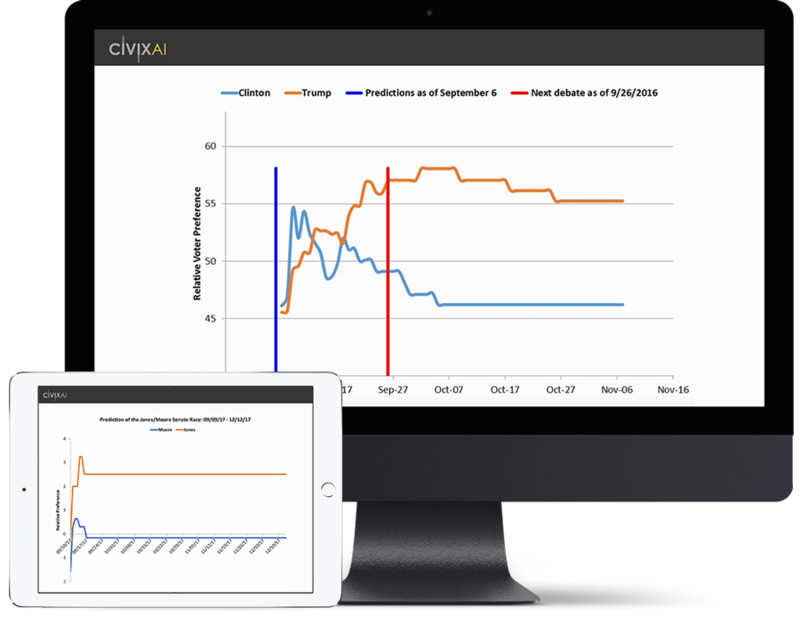 CivixAI is an artificial intelligence platform focused on behavioral analysis and event prediction in multiple applications, including: politics, public policy, philanthropy, and economic/consumer behavior. We are not another statistical model or predictive analytic designed to simply forecast outcomes in your market. While it’s true that our platform can do that with a high degree of accuracy, it’s a secondary benefit. Our real super power lies in our prescriptive approach as a predictive behavioral intelligence platform rooted in the principles of cognitive neuroscience. CivixAI emulates your audience’s decision-making patterns (i.e literally how they think) as far as 12 months into the future and can tell you exactly when they want you to engage them to achieve your goal (e.g monetary giving, voting, or purchasing). With this level of unmatched foresight, our customers no longer meet their forecasts, they beat them. CivixAI emulates the decision-making patterns of any audience, or audiences, that you want to measure. By identifying hidden motivations and unique correlations, we reach unprecedented prediction accuracy of their future sentiment and subsequent behavior. Examples of audiences we have measured include: voters, donors, customers, viewers and policymakers. How will CivixAI benefit my organization or company? CivixAI will show you when your audience is most susceptible and wants to be persuaded. Need to raise more money? CivixAI shows you when your target audience wants you to ask them. Need to influence legislation? CivixAI shows you when legislators want you to approach them. Need to earn more votes in a key demographic? CivixAI shows you when voters want to hear from you. We know our audience fairly well. How will CivixAI's platform add value? The purpose of CivixAI is not to change what you are currently doing or to tell you what you already know about your audience. Its primary purpose is to identify new intelligence about your current and prospective audiences that will allow fundraising and/or political staff to unlock additional opportunities for growth – whether that be through new sources of fundraising revenue, more legislative wins, or mobilizing voters with greater speed and effectiveness. How is CivixAI different from other software or analytical approaches? CivixAI is a deep-logic artificial intelligence platform that mirrors the behavioral and decision-making patterns of your audience. This is also known as "sentiment." This is different than many of the platforms that you encounter today that simply automate statistical models to predict an outcome at some future point. CivixAI’s true value is derived from being able to identify your audience’s interim sentiment during your operational timeline so that you can achieve the outcome you want, rather than getting the outcome you're expecting based on historical analysis. By being able to pinpoint precisely when the sentiment of your target audience will shift from positive to passive, you can alter the timing and/or direction of your audience's decisions to your advantage. Once we engage, how does this work? Will it require extra hours from our staff? In most cases, you need only to sign up in order to begin receiving donor, legislator, and/or voter intelligence reports in less than a week to incorporate into your existing operational strategy. In donor environments outside of political fundraising, it works best if you have a record of every contribution given to your organization, and the date on which it was given, compiled in an Excel or CSV document. That’s it. After we receive your data, you will begin receiving donor intelligence reports in less than a week so you can begin applying the intelligence to your existing strategy. How does CivixAI account for world events that can quickly change a target audience's sentiment about giving, voting or passing legislation? Does CivixAI replace work that our own professionals are already doing? No! 21st century success inevitably requires 21st century innovation, but technology is not a standalone solution, and it certainly cannot replace your people and relationships. Opportunities for new growth can only be maximized when technology works with your people and your relationships as one formula. None of these three inputs are mutually exclusive and therefore all three are needed. When used properly, AI makes people much more successful by giving them more opportunities, rather than replacing them. Does CivixAI make financial sense for our organization? CivixAI, like all technology investments should do, makes your lives easier, not more burdensome. CivixAI will give your team(s) more opportunities to raise money from target audiences, pass or defeat more legislation, and win more campaigns by effectively persuading voters without increasing workload. As a technology investment, CivixAI directly supports revenue growth in the first year and leads to increased efficiency by staff, which increases your long-term profitability. 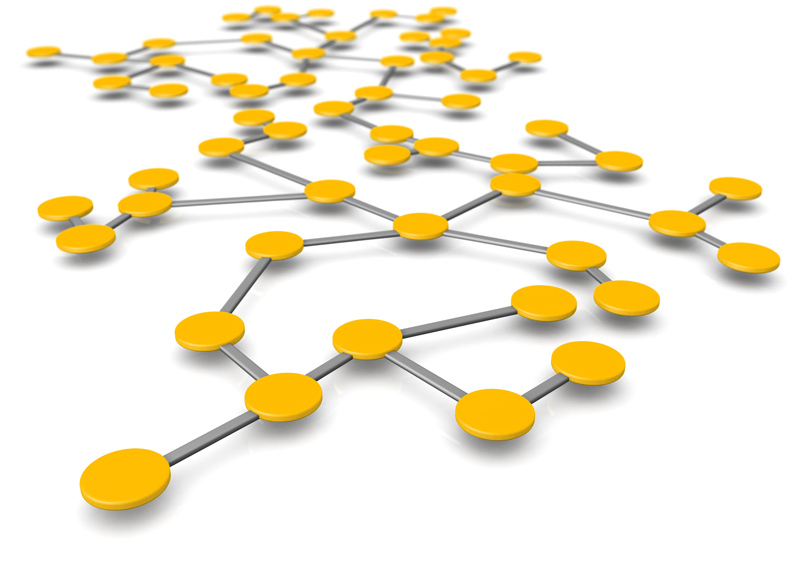 How have other organizations benefited from using your technology? Organizations incorporating CivixAI into their existing operational strategies are experiencing an average ROI between 908% - 2,400%. To put this into a monetary perspective, a nationally focused organization leveraging CivixAI could realize a financial net gain of $2.25M - $6M per year. Ready to see how CivixAI can help you win your next engagement or discover new opportunities for growth? Complete the short form below to receive our CivixAI presentation or schedule a call.